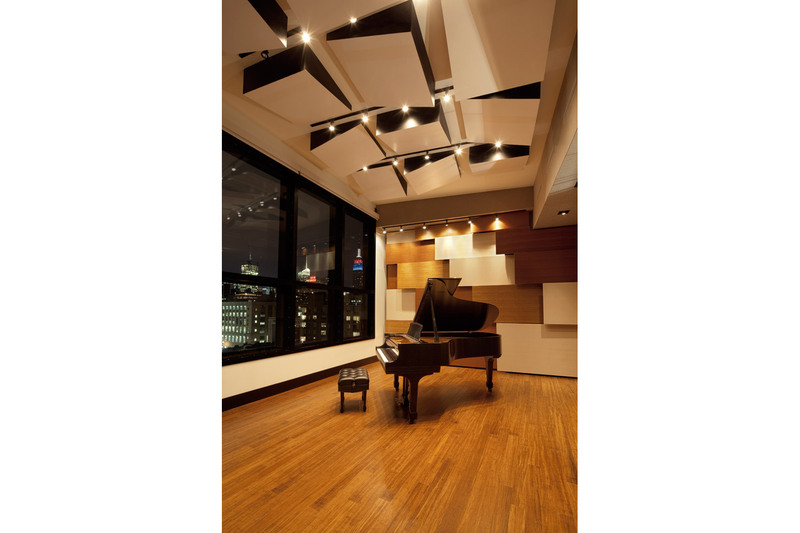 The epitome of hip elegance and acoustical excellence, Jungle City Studios signify the dawn of the ‘Retro Future/Future Retro’ era. 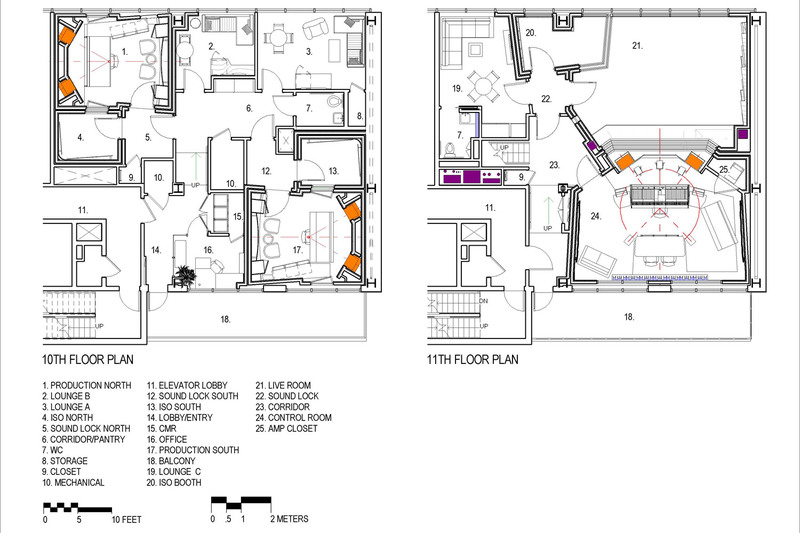 The $6 million + complex also re-calibrates the benchmark for destination studio design. 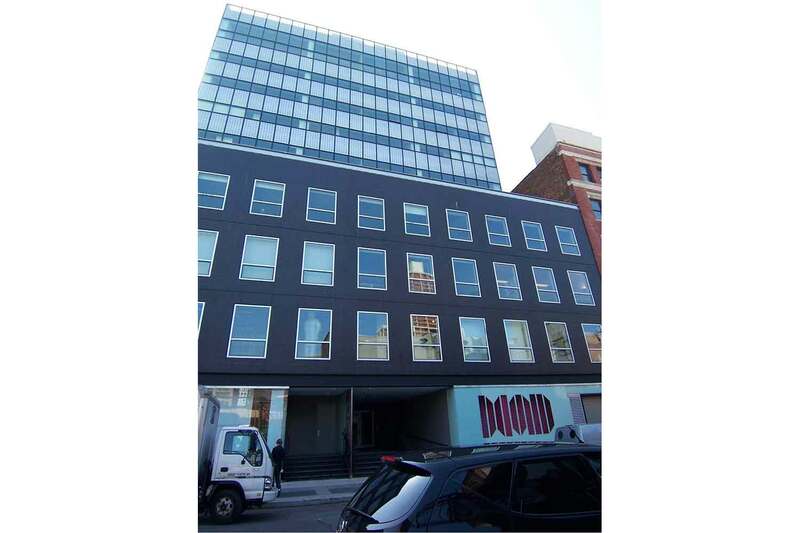 Crowning a new luxury office building at 520 West 27th Street in NYC’s chill High Line district, Jungle City morphed 4800 square feet of raw real estate into a showplace duplex with soaring ceilings, a 370 square foot terrace, a 2400 square foot rooftop deck, and river views. 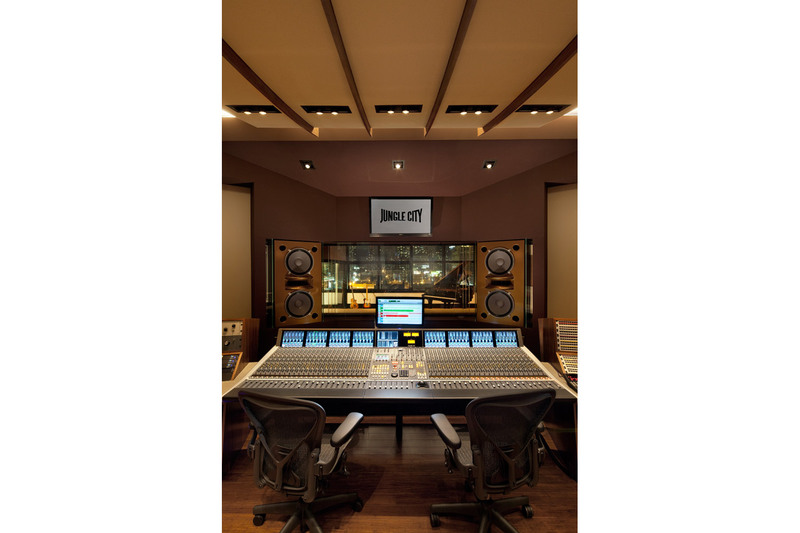 Studio founder/engineer Ann Mincieli has invested ten+ years’ experience as Alicia Keys’ engineer/album coordinator/studio director, and work with artists ranging from Coldplay to Usher and Jay-Z, to re-invent the destination studio. 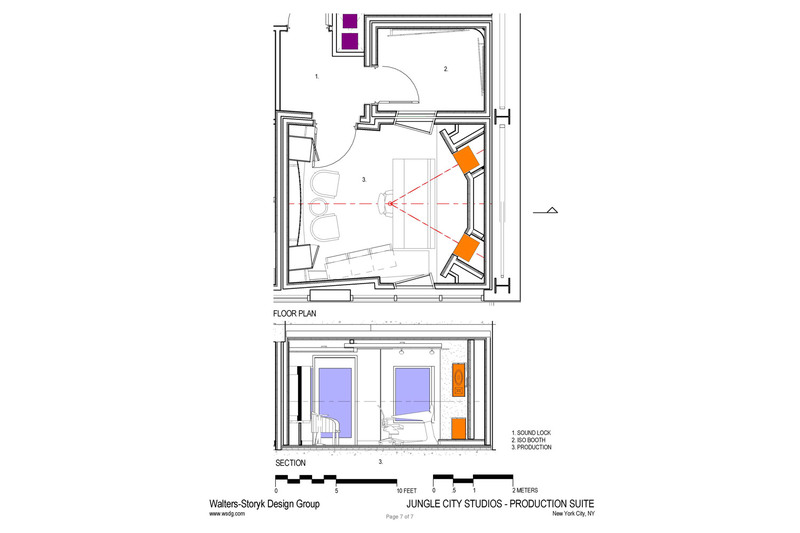 The 10th floor features two autonomous audio production suites (Icon and Euphonix), each with individual iso booths and private lounges, dedicated to providing clients with cusp-point technology. 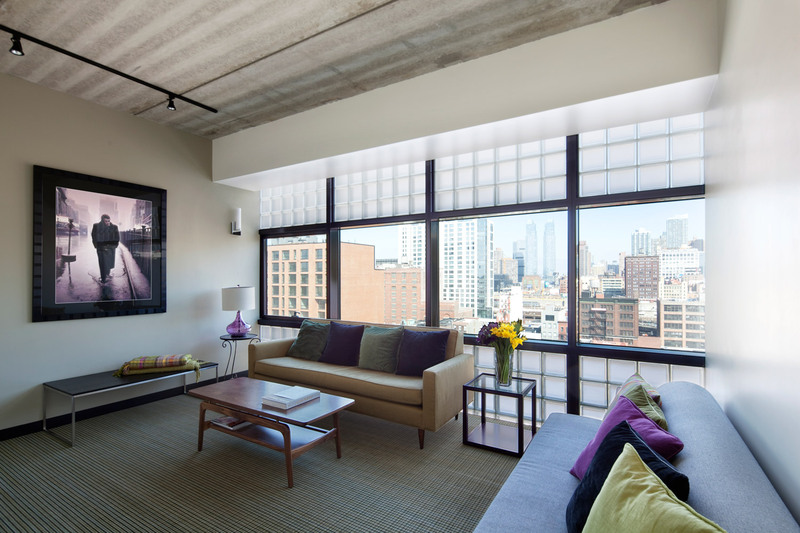 Extensive north and south-facing windows provide each suite with the rare opportunity to work in natural daylight (not common for New York City). 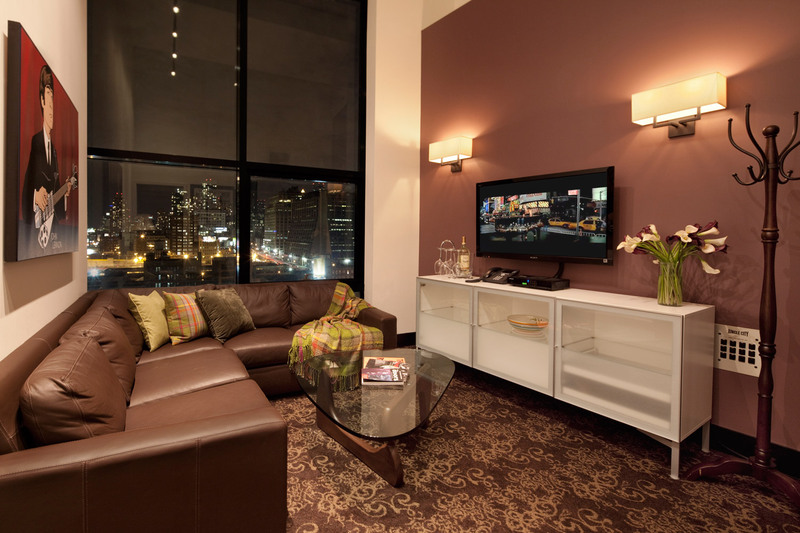 Featuring panoramic cityscape views, 14’ ceilings, innovative, perforated American cherry absorbing diffusers; unique acoustic ceiling treatments (which also serve as low-frequency absorption); and programmable color LED mood lighting, the 1400 square foot 11th floor control/live room & glass enclosed iso booth is a creative island in the sky. 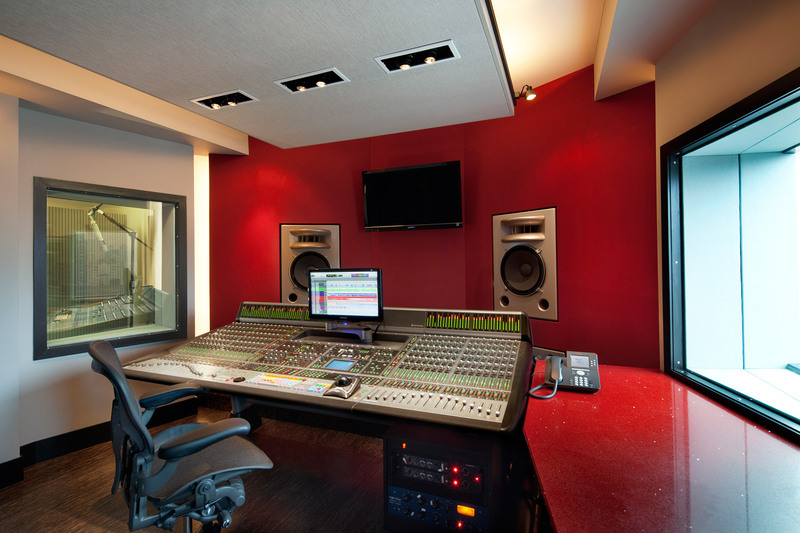 Two separate consoles in the Studio A Control Room exemplify Mincieli’s “Retro Future/Future Retro” philosophy. 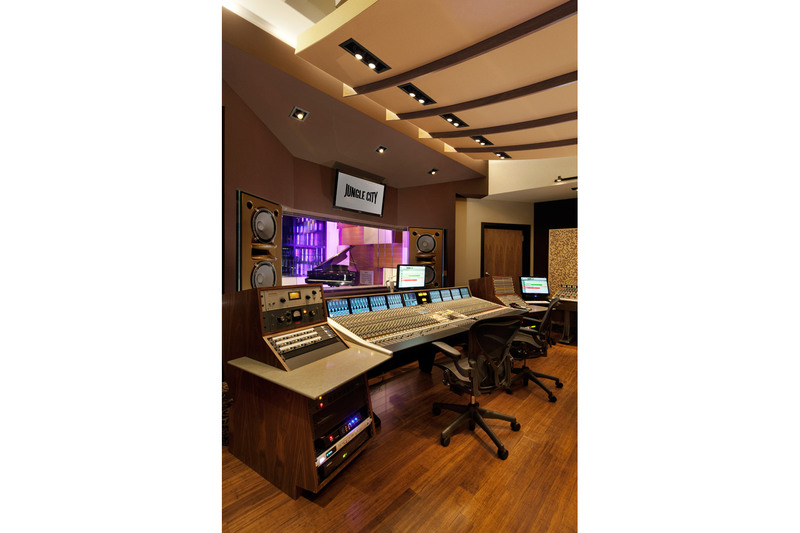 An SSL Duality SE 48 input analog console with total recall represents the ultimate state-of-the-art digital audio production tool. 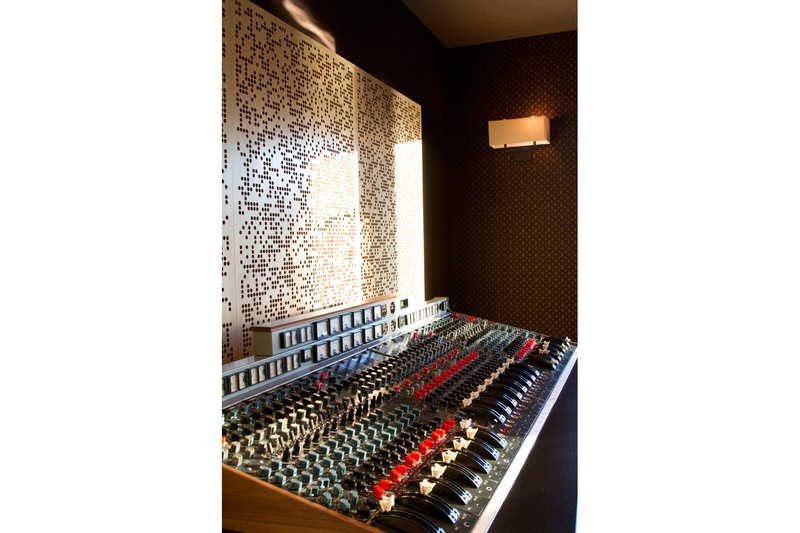 A rare EMI TGI 12345 Mark 3, circa 1968, identical to the desk used to record the early Beatle’s hits at Abbey Road has been rebuilt from the ground up to serve as the ultimate outboard processor. 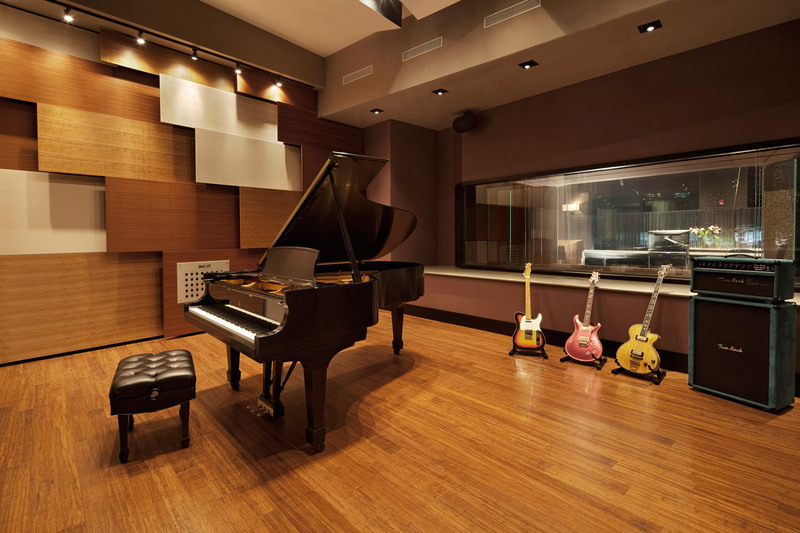 Mincieli completely restored the, vintage board, to provide a rich,‘60’s era warmth and depth to an entirely new generation of music created at Jungle City. 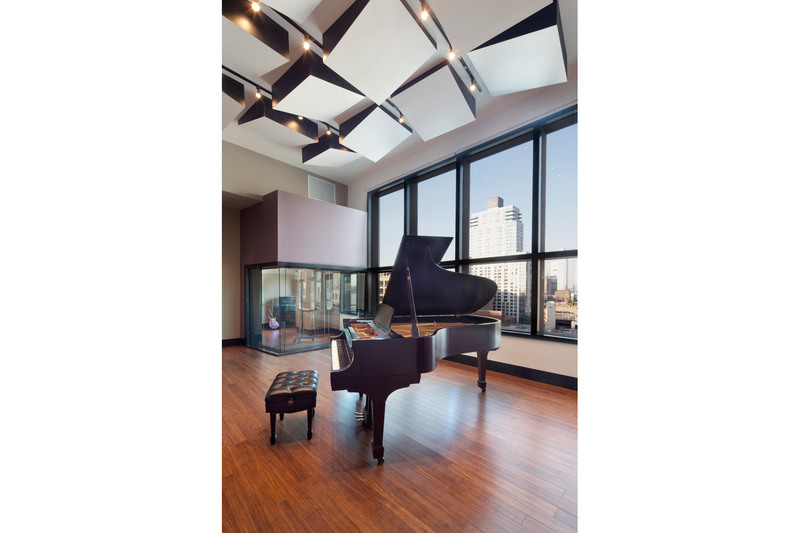 To maximize the impact of the studios’ expansive North and South picture windows, we floated the custom Augspurger Dual 15 Vertical main speakers in an outsized glass speaker baffle. 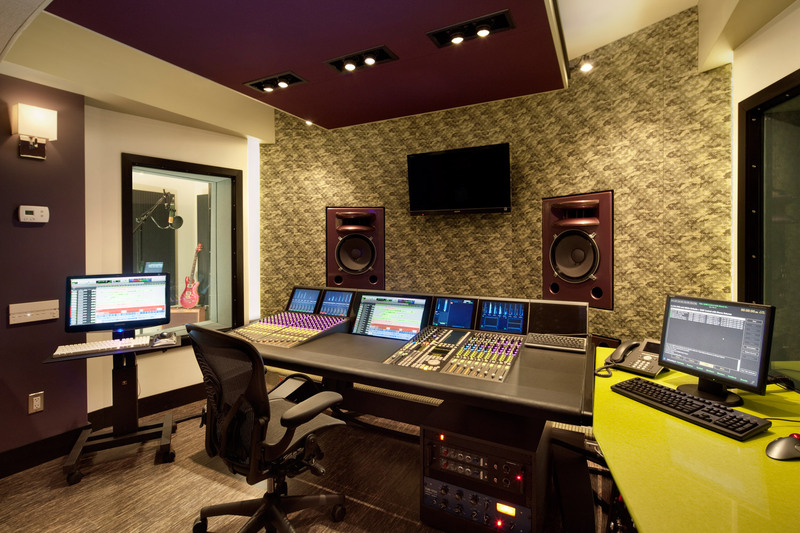 This is only the second time we have done this, creating a kind of transparent “wall of sound” between the live and control rooms. 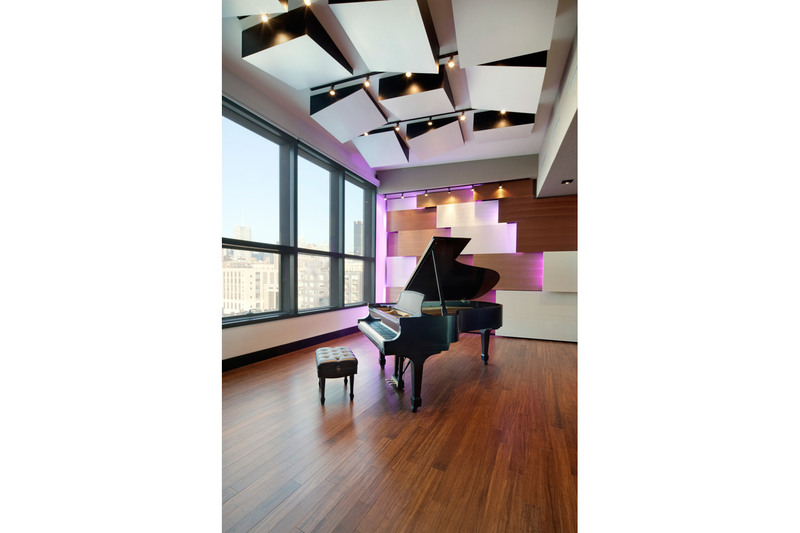 This provides artists and engineers with the creative advantage of full visual connectivity plus, NYC’s ultimate eye candy, views ranging from The Empire State Building to the Hudson River. 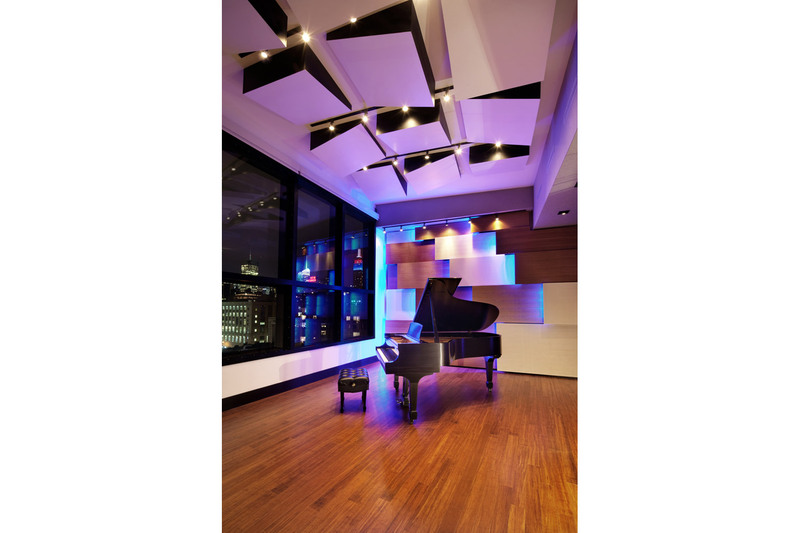 The audio sound field is extremely accurate throughout the full frequency range, particularly at the critical low end, necessary for many of Mincieli’s demanding urban music clients. 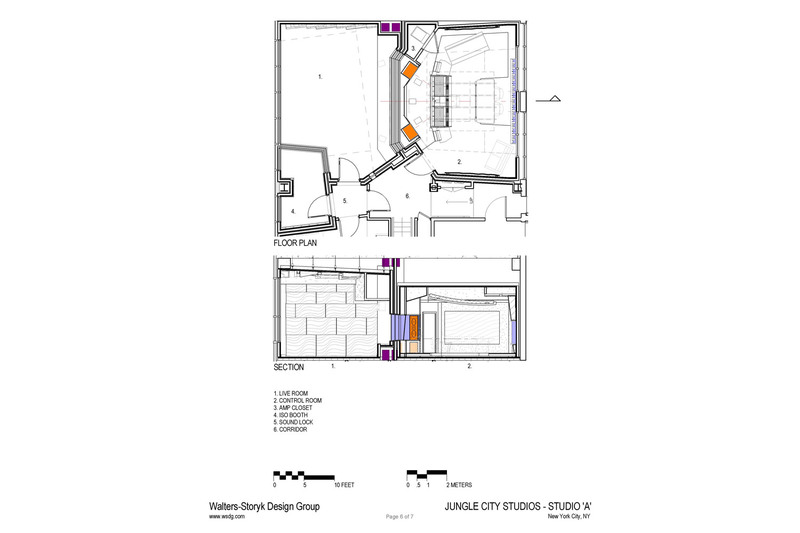 The challenge of creating the signature 11th floor live studio/control room directly above the two 10th floor production suites in a newly constructed lightweight, concrete building presented complex isolation challenges, Extensive analysis, both for the loading capacities of the slab and the isolation boundary detailing; resulted in STC values in excess of 90 (quite high for studios). 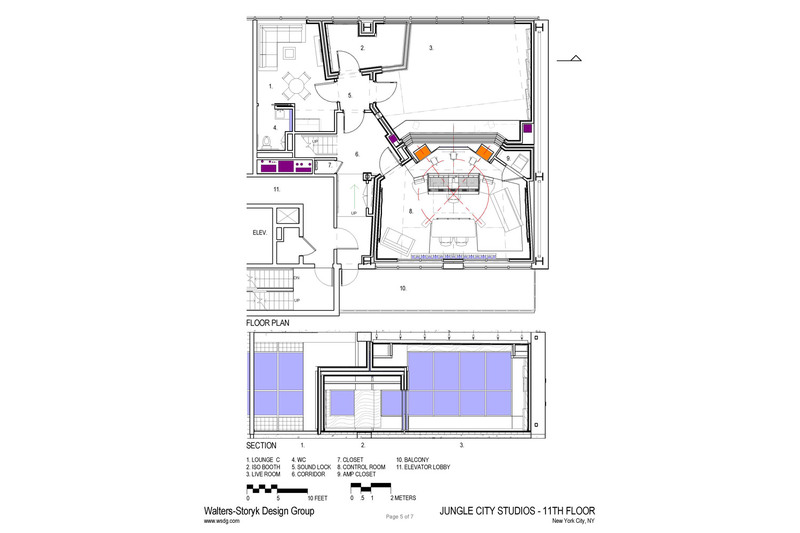 Spring and rubber isolation elements from Europe were used in this project. 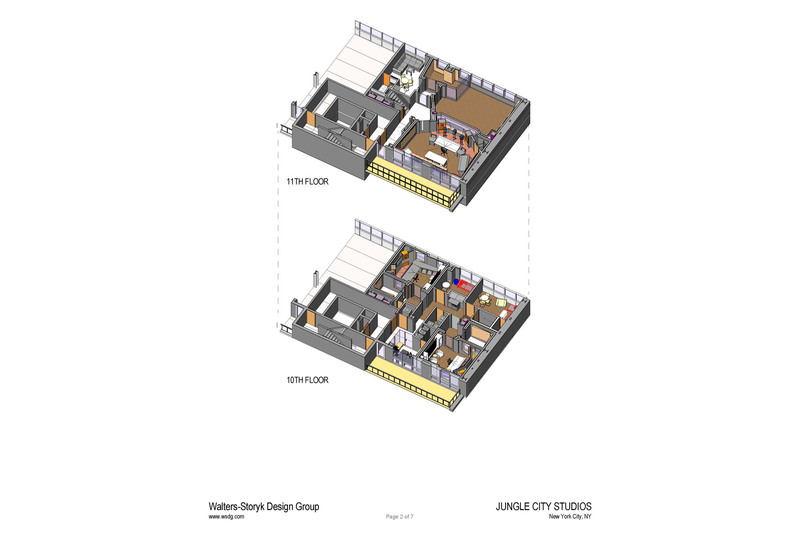 WSDG project manager, Joshua Morris; systems designer Judy Elliot-Brown and studio builder Chris Harmaty of Technical Structures all fully embraced the complexity, and scope of this project. 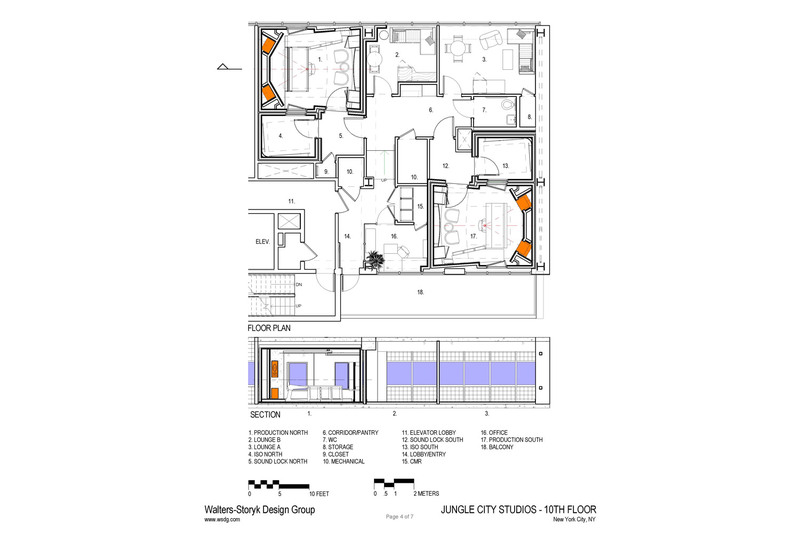 WSDG partner/interior designer, Beth Walters worked closely with Ann Mincieli to select and coordinate all the fabrics, colors and special touches which fully realized Ann’s dream of making Jungle City a significant addition to NY’s recording industry. WSDG is immensely proud to have participated in this unique project. It marks so special a moment for NY’s professional recording community, that it was featured in the New York Times. 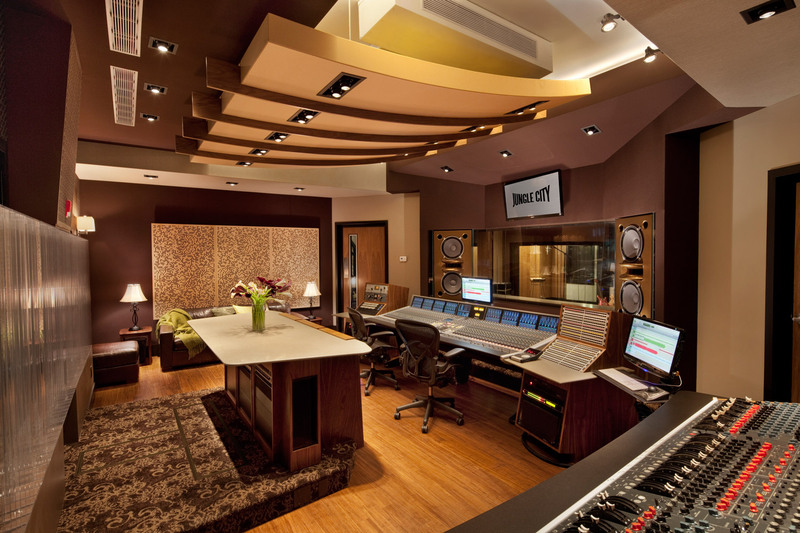 Following the completion of construction, Mincieli worked closely with leading mastering engineer David Kutch and WSDG partner/European office GM Dirk Noy to precisely “tune” all three Jungle City studios as the final step in insuring audio monitor accuracy in all of the critical listening environments.